If you have played Call of Duty before, then you are already bored by playing the same games over and over again. each COD version offers pretty much a similar game-play compared to the previous version save for a few changes. However, you must have noted that the COD WW2 is a greater game in the series characterized by advanced and infinite war gimmicks. What Is Call Of Duty WWll? 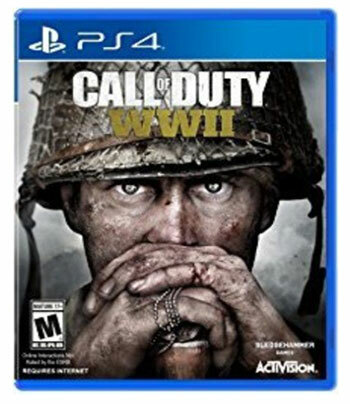 Call of Duty WWII is a 1st-person shooter video game that was developed by Sledgehammer Games, but Activision published it and released globally on November 3, 2017. The video game was released for PlayStation 4, Microsoft Windows, and Xbox One. 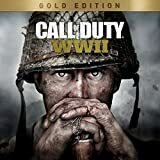 It is the 14th main installment in the Call of Duty series and the first title that was released in the series to be set primarily in the World War II since the release of Call of Duty World at War in 2008. Therefore, it is definitely a return to the original recipe and the first game set during the Second World War in about 10 years. The game's campaign is set at the European Theatre and is mainly centered around a soldier squad in the 1st infantry division following their battles on the Western Front and its producers set it mainly in the historical events connected to Operation Overload. It provides an incredible experience that redefines World War II for the new gaming generation. Our cod ww2 review recommends that your computer should have at least a 2GB a Radeon HD 7850 or a GeForce GTX 660 to get running on the minimum settings. Your computer processor should be at least Ryzen 5 1400 or Core i3 3225 or better so you can be able to run it. Call of Duty WWII can be purchased for around $55 - $65. Our COD WW2 review highlights that COD is fast-paced and takes a classical setting. It provides a great new mode in the multiplayer setting and a good campaign characterized by creepier and dense version of Nazi Zombies. However, there are some inconsistencies and minor flaws that hold it back from being the landmark in the COD series. However, we still managed to enjoy every bit of it, which is why we gave 4.5 stars out of 5. The storyline is based on world war II, about how the Nazis were defeated. The game mode is dubbed Nazi Zombies and reflects events of WWII as the 3rd Reich attempts to turn the tide of war through the creation of undead armies in the final stages of the war. While it is fictional, the storyline reflects the real events of WW2, which is why we gave 5 out of 5 stars. It is a great advancement of graphics, and we rate it 5 out of 5 stars. Gameplay is gory and intense. Creating a class is in-depth and interesting. Keeping your teammates close by for health and ammo top-ups is a nice touch. Multiplayer visuals are toned down to increase speeds. AI is not the smartest. In Counter Strike Go, you can battle throughout the entire world as a terrorist cell or an elite counter-terrorist unit. You improve your skills if you play in co-op matches with your friends against AI bots or in single player skirmishes. The game is very immersive and is characterized by an intense multiplayer action as you fight through 15 maps that are so diverse, including 7 maps that are only exclusive to Xbox. There are new counter-terrorist and terrorist units along with new weapons that afford players a wider range of tactics. You can also communicate and strategize with your friends using the Xbox Live connection. It also comes with an option to download content that is available through the Xbox Live connection. It provides a realistic counterterrorist experience as the players experience an involving and deep counterterrorism world where there is a lot of danger, and you can lead your elite team through the jungles of Asia, areas with unbearable humidity such as Cambodia, and also cold regions in parts of Eastern Europe. The price ranges between $50 and $65, but you can also buy a used one for as little as $10 to about $30. Just like Call of Duty, the game thrives on close-quarter combat, but there are no futuristic weapons, double jumps, or air strikes, which is why we rated it 3.5 out of 5 stars. It is all about mechanical skills to outplay opponents. You are either a counter-terrorist or a terrorist, and you should focus on the team's objective. Terrorists plant bombs, and counter-terrorist defuse them. Valeria Jenner, the leader of the Phoenix Connection, give you lots of missions. After creating the Phoenix ideology, the Phoenix believe that the world must be destroyed to ashes before it can rise anew. Our cod ww2 review shows that the graphics are not as good as those used in Call of Duty, so we gave it a 3 out of 5 stars. The video game allows you to experience the dawn of an all-out war as you take to the combat's front line across the entire theater of World War 1. Players discover whole new worlds at war via an adventure-filled campaign and even get an opportunity to join epic multiplayer battles that can incorporate about 64 players and also allow you to adapt your tactics to earth-shattering environments along with the accompanying destruction. Players can also fight as infantry or take control of amazing vehicles on the sea, air, and land. From the bikes and tanks on the ground to gigantic battleships and biplanes, it allows the players to adapt the gameplay to dynamic battles in the battlefield history. The price ranges from $10 to $20, which makes it cheaper than other games like the Call of Duty WWII. Players experience the dawn of an all-out war when they play Battlefield 1. A player can also fight his way through epic battles that range from an urban combat in a besieged French city to a heavily guarded mountain forts located in the Italian Alps or get to enjoy the frantic fights in the Arabian deserts. Players experience a series of war stories and more particularly personal stories that focus on different skills and backgrounds. Even though the characters are at war, the stores are quite personal as they are more about people than battles and history. The storyline is therefore told via multiple protagonists explores the stories of unknown war heroes. While the video game is fictional, it is based on real events on how the U.S. fielded a regiment of African American soldiers - Harlem Hellfighters, an all-black unit that served alongside the French soldiers. Despite the fact that they were Americans, they wore French uniforms and were not discriminated against based on their color. They fought bravely in major battles, but are unknown in history. War Story is about Lawrence of Arabia known as Nothing is Written features a guerilla warrior. Bedouin Fighter is a fictional character but based on a real woman who took part in the Arab revolt against the Ottomans. Battlefield One also features some stories that you might learn for the first time, such as Germans tried bombing London in WWI, not just WWII. The Germans also fueled a number of English tanks that kept on breaking down. Generally, developers created game-play situations that are really fun for gamers. Our cod ww2 review shows that the graphics are not as great as those in COD, so we gave it a 3 out of 5 stars. The armored vehicles are overpowered. In game mode operation and rush there are maps that are unbalanced like Monte Grappa. Death is almost certain after a match if you are on a plane. It will crash, and it will be counted eventually towards deaths. Medics can revive too easily and fast. The game features over 40 million players and each chooses a hero from a variety of soldiers, oddities, adventurers, and scientists. 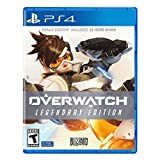 The legendary edition allows the players to defy physics, bend time, as well as unleashes extraordinary weapons and powers while engaging enemies in iconic global locations in a team-based shooting spree. Players get an opportunity of experiencing the extraordinary such as stalking your prey as a wrath-like assassin that can appear anytime an anywhere and unleash powers like Graviton Surge, Transcendence, and Dragonstrike. Each hero in the game has extraordinary game-changing capabilities. Every hero in the game has a unique perspective on the battlefield as well as a story behind their arrival at the battlefield and teamwork is paramount for survival. Careful coordination with your comrade proves the difference between defeat and victory as your team combines the powers at your disposal. You can also protect secrets, such as the Temple of Anubis in Egypt, escorting an EMP in London, and battling in different global locations. They are also in-game goodies, such as World of Warcraft (Baby Winston Pet), Overwatch (hero skins and 5 epic and legendary skins), and Diablo 3 -mercy wings. Our cod ww2 review shows that the price ranges from $20 to $60, but you can get a great discount of 50%. 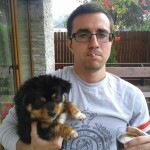 I addition, you can get it at a discounted price with trade-in. Overwatch is similar to Call of Duty but incorporates a flashy game-play style and new elements. It is fast-paced and relies on battlefield movements. It is the perfect mix of FPS elements and MOBA that makes the game-play great. There are a diverse set of characters with different traits and abilities with customizations to defeat the enemy. If you would like to play a game like Call of Duty but incorporates FPS components, you should try it. We rated it 4 out of 5 stars overall. It is set 60 years into future of a fiction earth an 30 years after resolution of the "omnic crisis." Before the crisis humanity had been in a golden age of technological development and prosperity. Human developed AI robots known as omnics and the crisis began when omniums started producing lethal and hostile robots that turned against mankind. The UN formed Overwatch, a global task force for combating the omnic threat. It is a great storyline that we rated 4 out of 5 stars. Our cod ww2 review shows that the game offers vibrant and colorful graphics that enhance the overall game-play experience. We rated the graphics 4 out of 5 stars. Our cod ww2 review has established that the game-play is gory and intense, unique, interesting, better visuals, the inclusion of a great storyline and Nazi Zombies with better graphics than Counter-Strike GO, Battlefield One, and Overwatch. It has fewer cons and is not as boring as the previous Call of Duty versions. The price is affordable for any avid gamer and the features are also excellent. This is why we rated it 4.5 out of 5 stars, a better score than any of the 3 similar games. We recommend the game and we hope that you will enjoy every bit of it.